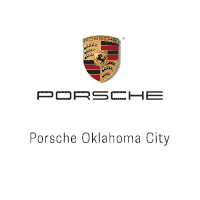 At Porsche Oklahoma City, we are proud to offer the latest and greatest models. From the high-performance Porsche 911 to the roomy Porsche Panamera, we have the Porsche model you want. As we are always getting deliveries of the finest new models from Porsche, the inventory that we have in our inventory is always changing to better meet the needs and desires of drivers in the Oklahoma City area. Come into our Porsche dealership and browse our selection of the latest and greatest models from Porsche. Schedule an appointment here on our site now for your test drive. Porsche Oklahoma City also offers many Certified Pre-Owned vehicles from Porsche. Only the highest quality low-mileage models are even considered for certification. These vehicles are carefully inspected and reconditioned before getting their certification. This also includes a limited warranty that is backed by the Porsche factory. This means that it is honored at every Porsche dealership throughout the country. As with our new inventory, our inventory of Certified Pre-Owned Porsche vehicles is available on our website, and it is regularly updated to reflect new arrivals. Check out the Certified Pre-Owned Porsche models at our Oklahoma City car dealership. Test-drive whichever one catches your eye today. Additionally, Porsche Oklahoma City has a large stock of premium pre-owned vehicles. We have models from Porsche and many other major manufacturers. Our selection runs from sports cars to luxury sedans to SUVs. Take a look at the premium pre-owned vehicles at our Porsche dealership in Oklahoma City. Test-drive quality used cars in Oklahoma City today. We believe in continuing to serve our drivers even after they find their dream car at our Porsche dealership in Oklahoma City. We have a factory-authorized Service Center that can perform auto repair and maintenance services on Porsche models and vehicles from other major manufacturers. As an authorized dealership, we can work under warranty so that you don’t have an expensive payment. Bring your vehicle into our Porsche dealership in Oklahoma City today for top-notch auto repair and maintenance. Schedule a service appointment through our website now. Drivers in the Oklahoma City area are more than welcome to drop by our Porsche dealership during our business hours. We have one of the finest selections of new Porsche models in the Oklahoma City area. Also, we are proud to offer quite a few Certified Pre-Owned Porsche vehicles that are backed by a limited warranty. Our Porsche dealership additionally has one of the most desirable inventories of used cars in Oklahoma City. Our site lists our current selection of vehicles so that you can see whether we have the model you’re looking for. If you do see the perfect vehicle, you can start the financing process by completing a pre-approval application through our website now. At the Porsche Oklahoma City car dealership, we even have a factory-authorized service center to take care of our drivers after they get their dream vehicle. Visit our dealership in Oklahoma City today to learn more about our vehicles and services.